Infection due to Y. pseudotuberculosis is most often seen as a pseudoappendicitis syndrome without diarrhea. ETIOLOGY. Y. pseudotuberculosis is differentiated biochemically from Y. enterocolitica on the basis of ornithine decarboxylase activity, fermentation of sucrose, sorbitol, cellobiose, and other tests, although some overlap between species may be seen. Antisera to somatic O antigens and sensitivity to yersinial phages may also be used to differentiate the two species. Subspecies-specific DNA sequences have been isolated that allow direct probe- and primer-specific differentiation of Y. pestis, Y. pseudotuberculosis, and Y. enterocolitica. EPIDEMIOLOGY. Less is known of the epidemiology of Y. pseudotuberculosis infections than for Y. enterocolitica or Y. pestis. The seasonal incidence in humans parallels that in wild and domestic animals. Transmission from cats and cat-contaminated substances is established. There is a low reported incidence in the 5–12-yr age range. PATHOLOGY AND PATHOGENESIS. The pathology is similar to that described for Y. enterocolitica, with ileal and colonic mucosal ulceration and mesenteric adenitis. Necrotizing, epithelioid granulomas are seen in the mesenteric nodes. The appendix is frequently grossly and microscopically normal. Mesenteric nodes are frequently the only source of positive cultures. Y. pseudotuberculosis antigens bind directly to HLA class II molecules and function as superantigens, which may partly explain the clinical syndromes resembling Kawasaki syndrome caused by this organism. CLINICAL MANIFESTATIONS. Children usually present with fever and abdominal pain that is diffuse or localized to the right lower quadrant. Frequently, there is tenderness over the McBurney point and strong clinical suspicion of appendicitis. At surgery, the terminal ileum is thickened and shiny with enlarged mesenteric nodes, which may appear necrotic. The appendix is normal or only mildy inflammed. Presentations resembling scarlet fever or Kawasaki syndrome are reported. DIAGNOSIS. Mesenteric adenitis should be suspected in children with unexplained fever and abdominal pain. A characteristic picture of enlarged mesenteric lymph nodes, thickening of the terminal ileum, and no image of the appendix may appear on ultrasound. Y. pseudotuberculosis is rarely isolated. It is almost never isolated from stools, and the best source is an involved mesenteric node. 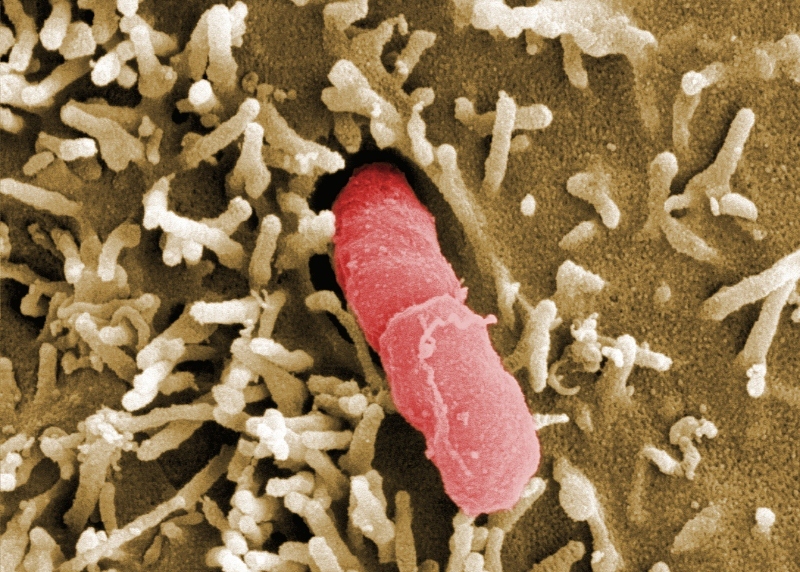 Culture conditions are the same as for Y. enterocolitica. Serologic tests have been described, but commercially available tests or standardized antigens are not available. DIFFERENTIAL DIAGNOSIS. Appendicitis is the most common diagnosis. Inflammatory bowel disease and nonspecific intra-abdominal infections are also considered. PREVENTION. Specific preventive measures other than avoiding exposure to potentially infected animals and careful food-handling practices are not apparent. Vaccines for prevention of Y. pseudotuberculosis have not been developed. TREATMENT. Uncomplicated mesenteric adenitis due to Y. pseudotuberculosis is a self-limited disease, and antimicrobial therapy is not required. Culture-confirmed bacteremia should be treated with an aminoglycoside in combination with another agent, as for infections due to Y. enterocolitica. Pseudotuberculosis is an acute infectious disease that is characterized by the expressed polymorphism of clinical symptoms with predominance of toxic-allergic syndrome, rashes like in scarlet fever, the damage of gastro-intestinal tract, liver; quite often has relapsed motion. • Susceptible organism – children (not infants), adults. 2. Enteral phase: invasion of bacteria in enterocytes, development of local inflammation, diarrhea, enterotoxin secretion. 3. Regional lymphadenitis (regional infection). 4. Generalization (bacteriemia, toxemia) in severe cases. 5. Parenhymatous phase: hematogenous distribution of bacteria with forming of the secondary focus (lungs, liver, spleen, bones). 6. Immunological response, recovering from disease. 7. May be secondary bacteriemia (exacerbations and relapses), because of possible persistency in lymph nodes. Incubation period is 3-18 days. Beginning is acute with high temperature, intoxication. • Polymorphism of complaints: malaise, fatigue, headache, sleepless, anorexia, arthralgias, muscle pain, sore throat, nausea, abdominal pain, dyspepsia. - The exanthema usually lasts 4 to 5 days and then begins to desquamate, first on the face, other parts of the body (photo 58) and last on the palms and soles (photo 59, 60). • Pharyngeal and tonsilar erythema without the exudates, erythema of the soft palate, conjunctivitis, corryza demonstrate catarrhal syndrome. • “Strawberry” tongue also simulates the scarlet fever (photo 61). • Abdominal syndrome; tenderness during the palpation of abdomen, may be acute appendicitis. • Dyspepsia: nausea, vomiting, liquid feces. • Hepatomegaly, rare – splenomegaly, lymphadenopathy. • Arthritis of knees (photo 62), elbows, foot and hand small joints or arthralgia. • Hepatitis with or without the jaundice. • Bronchitis or pneumonia may also develop. Pseudotuberculosis, typical combined (Scarlet fever like + arthralgic) form, moderate severity, uneven prolonged duration with exacerbation. · Complete blood analyses: leucocytosis, neutrophilia with left shift, eosynophilia, ERS is enlarged. · Bacteriological: Yersinia Pseudotuberculosis may be found in feces, urine, blood and mucus. · Serologically: increasing of special antibodies 4 times and more in paired sera (AR, IHAR with diagnostic titles 1:200 and more). · Immune-enzyme analysis (ELISA test): Specific antibodies Ig M are positive in an acute phase of the disease. Differential diagnosis should be performed among scarlet fever, measles, viral hepatitis, typhoid fever, paratyphoid fever, sepsis, enterovirus infection, bacterial diarrhea. Children with mild form of pseudotuberculosis may be treated at home symptomatically without the etiological medicine. • Children with severe form of pseudotuberculosis. • straight bed regimen in severe cases. • Other forms – N 15.
and plus 3 days (average duration is 14 days). • In severe cases combination together with aminoglycosides of the 3rd generation (IM, IV). 2. Right keeping of products. 3. Looking after people from the epidemic focus for 18 days with bacteriological investigation.